Who can put together a team with the four qualities needed for defeating the Islamic jihad? At that time there was a wide field of potential candidates. We have now gone through the turbulent primary season, in which Hilary Clinton and Donald Trump have emerged as the two presidential front runners. The focus has narrowed, but the need has not changed. Here is an updated version of that original call to prayer. I believe we need to be in urgent prayer for someone to be elected as President of the United States who can be a part of God’s plans for defeating the demonic stronghold of Radical Islam. Of course whoever is elected will have to deal with many other challenges: economic development, the environment, massive unsustainable debt among Western democratic nations, the rise of tyranny in Russia and China and more. Of course I cannot tell you how to vote. But I think I can make some suggestions as to what type of leaders the United States, Canada and the United Kingdom may need to face the growing nemesis of Radical Islam which is threatening the entire Western world. I know that Christians often shy away from politics but I am convinced that our Reformed understanding of the Kingdom of God calls us to be involved at all levels – from praying for candidates, voting, and even running for office if called by God to do so. We must also engage in cooperating with Jesus Christ in defeating demonic strongholds that interface with human political and cultural systems. 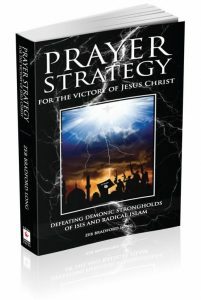 What I have learned both through study of historical events such as the Battle of Vienna on September 11, 1683 and the experience of praying for President Bush in the War on Terror, is that God often works to bring victory over the growing evil of Radial Islam by raising up a team of leaders. A team who embody among themselves the diverse facets of the Moses and Joshua roles. Can see and accurately name the deadly threat that Radical Islam poses not just to the Jewish and Christian faith but to Western culture and our institutions of individual liberty and diversity. Can unify the assault against Radical Islam by pulling groups with diverse interests together and uniting them in a common defense and offense. Understand the enemy as well as can mobilize the relevant strengths of our Western culture to decisively defeat the Jihadist Armies of Islam. Understand the spiritual dimensions of the battle with Islam and are able to welcome those who can bring the work of prayer, discernment and seeking of God’s guidance. 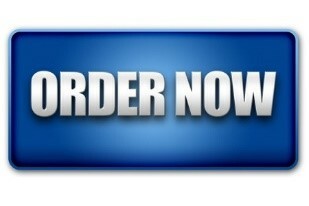 As we survey the cast of those in leadership and influence at any particular moment in the flow of world events, there are many leaders and potential leaders who fulfill these various roles. But there needs to be the right convergence of people as well as spiritual, political and military power for this to take place. The question before us here in America is which of the candidates and the people they would bring with them into their administration have the most potential for creating that convergence? Often these convergences are recognized in retrospect and when the fruit of their concerted actions have been proven over time. For instance, defeating the invasion force of Islam at the gates of Vienna in 1684 has been shown by historical evidence to be the first step in forcing the long, slow retreat of Islam from Europe. We also know that this decisive victory required the convergence of a number of leaders coming together: the Pope, Brother Marco d’Aviano, and the King of Poland, Jon III Sobieski, with his Winged Hussars. At this moment we do not have the benefit of 20/20 hindsight. We must pray and must also vote in the upcoming elections without perfect vision. So how do we answer this question which may well determine whether or not Radical Islam continues to grow in power or is prevented from carrying out Satan’s terrible purposes which includes genocide of Jews and Christians? I offer the following for discernment and leave them it to you to apply them. First we must be using all the powers of our reason to know the facts and to analyze those facts. We must be students of history as well as keep attentive to unfolding human events. We must be asking the Lord what His big picture plans are and asking Him to reveal to us who He is calling to take part in His plans to defeat Islam and advance the Kingdom of God. Take note: these may not all be born-again Christians, but they must be those who have an appreciation of our Judeo-Christian culture, as well as the spiritual dimensions of the battle we are in. In our democratic nations, we must also take all this in account as to who we vote in or out of elected office. It makes a profound difference as to whether we have those in office who can defend our Western Judo-Christian values or not. We can know this by listening to their words, observing the record and listening to the guidance of the Holy Spirit. We must submit each person, whether we like them or not, to the rigor of those four guidelines suggested above. Our role is to pray for this convergence to take place before it is too late and Satan has all the human means to unleash his plans for the full replacement of Jews and Christians through genocide and Islamic hegemony. For many of us, having prayed for the election of these leaders, the Holy Spirit may well keep us on duty to continue to pray for them. Please let me know if you have any discernment on this. I am personally struggling with these things and I suspect that I am not the only one. 1 Timothy 2:1-4. I urge, then, first of all, that petitions, prayers, intercession and thanksgiving be made for all people—for kings and all those in authority, that we may live peaceful and quiet lives in all godliness and holiness. This is good, and pleases God our Savior, who wants all people to be saved and to come to a knowledge of the truth. Proverbs 21:1. The king’s heart is in the hand of the Lord, Like the rivers of water; He turns it wherever He wishes. I believe that right now prayer is desperately urgent. We are at a time which I and others have discerned to be like the “gathering storm” before the outbreak of the colossal evil of World War II. 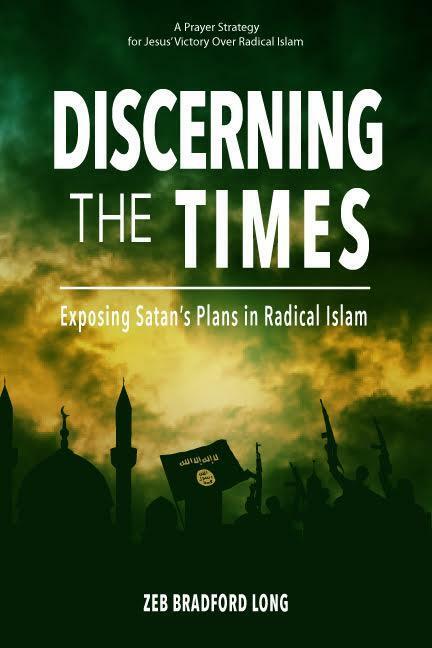 This time, however, it is it is the gathering storm of the demonic strongholds of Radical Islam as well the growth of tyranny in Russia and China. In the first gathering storm in the 1930’s God was raising up Rees Howells and the students at the Bible College of Wales as key intercessors to, in the heavenlies, defeat the high level demons in Hitler. 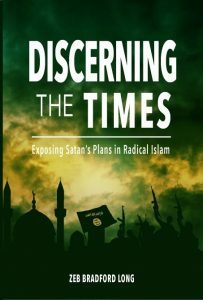 I am convinced that right now in 2016, in this present gathering storm, God is again raising up an army of intercessors to prevent Satan from fulfilling his plans of genocide and Islamic oppression. He is doing this in many locations such as Kansas City, Jerusalem, throughout South Korea, and more, as this will need to be a global army of intercessors. I believer Jesus Christ has called me to take the risk of writing these books and launching this prayer initiative as a part of this work. 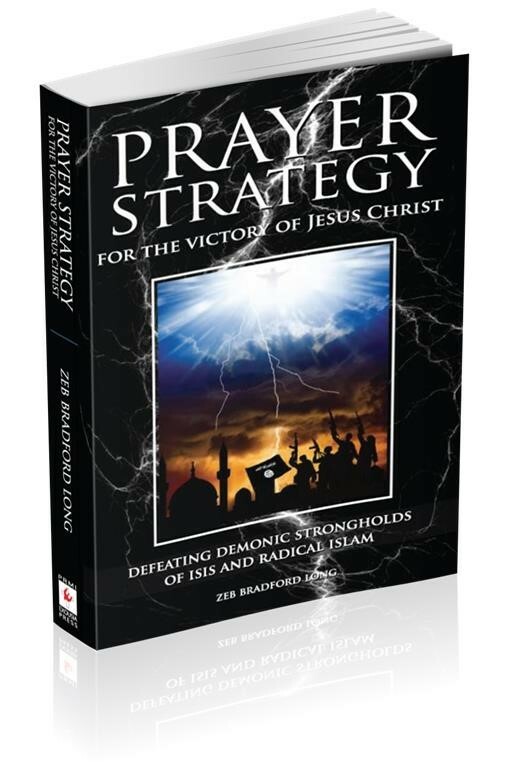 Please pray that the Lord will use these books as part of Jesus’ plans to mobilize, equip and deploy an army of intercessors to take part in the Father’s strategic plans to defeat the demonic strongholds based on Islam and to advance the Gospel into the entire Muslim world. These radical Islamic strongholds provide Satan with the human means of implementing on earth four terrible schemes. Replace God’s way of salvation revealed in the Old and New Testaments with the deception of Islam which leads to eternal death. Strangle the winds of the Holy Spirit blowing in the house of Islam bringing Muslims to saving faith in Jesus Christ. There will be catastrophic consequences for humanity if these demonic strongholds based on Islam are not defeated in the spiritual and human realms. Please pray for the editing team who are working on Book Two: That gives the actual prayer strategies and tactics for defeating Satan’s these four schemes. Pray that this can go out by the middle of October 2016. Also as I work on these books I really need your strong prayer protection, as does the entire ministry of PRMI. Thanks so much and if you should receive any guidance please pass it on to me. Blessings on you.